Click image to enlarge Welch Island. 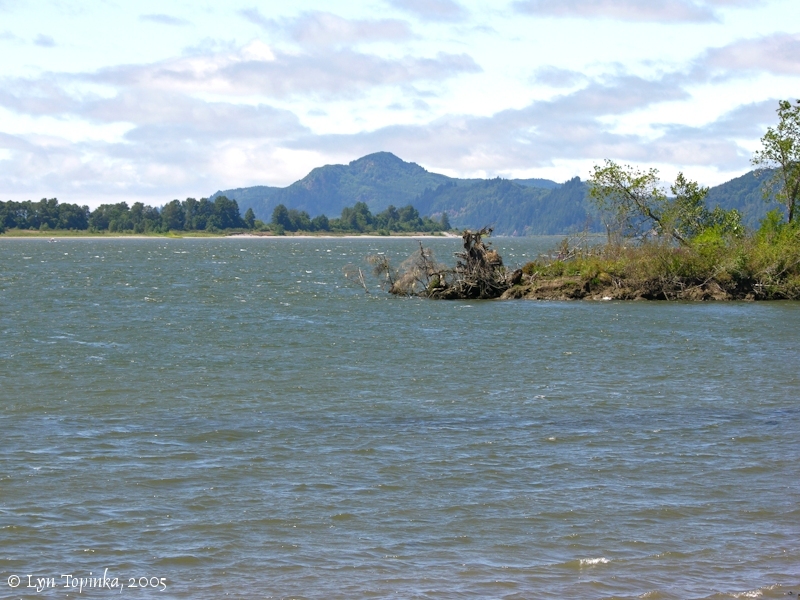 View from the Julia Butler Hansen Refuge, on Steamboat Slough Road, just upstream of Price Island. Image taken July 28, 2005. Welch Island is a large marshy island on the downstream side of Tenasillahe Island, and separated from Tenasillahe Island by Red Slough. Welch Island is the upstreammost island of the Lewis and Clark National Wildlife Refuge. On the Washington shore, parallel to Welch Island is Price Island. The mouth of the Skamokawa Creek is also across from Welch Island. Fitzpatrick Island borders the downstream tip of Welch Island, and on the Oregon side of Welch Island the rest of the islands of the wildlife refuge curve around Aldrich Point. 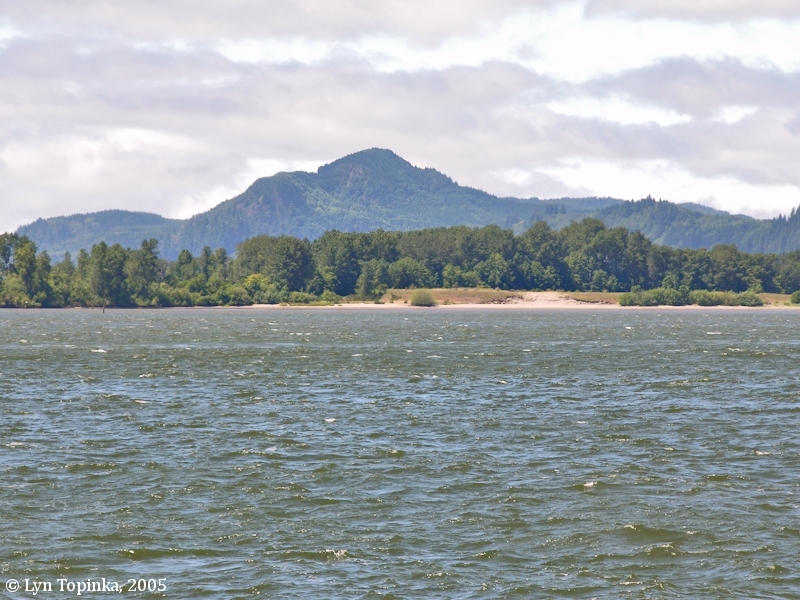 In 1792 Lieutenant William Broughton, of the George Vancouver expedition, passed by Welch Island on October 25, 1792. In 1841 Charles Wilkes of the U.S. Exploring Expedition shows Welch Island as part of Tenasillahe Island and called the entire area "Katalamet I.". Before 1915 the island was referred to as "Welches Island" or "Welch Island". In 1915 the U.S. Board of Geographic Names made official "Welch Island". 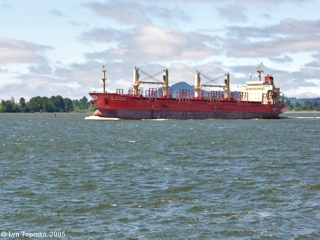 Click image to enlarge Welch Island in background with Cargo Ship "New Diamond" on the Columbia. 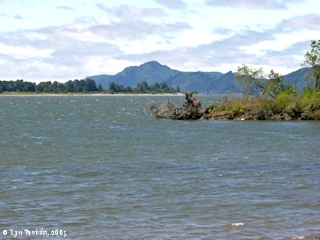 View from the Julia Butler Hansen Refuge, on Steamboat Slough Road, as seen from just upstream of Price Island. Image taken July 28, 2005. 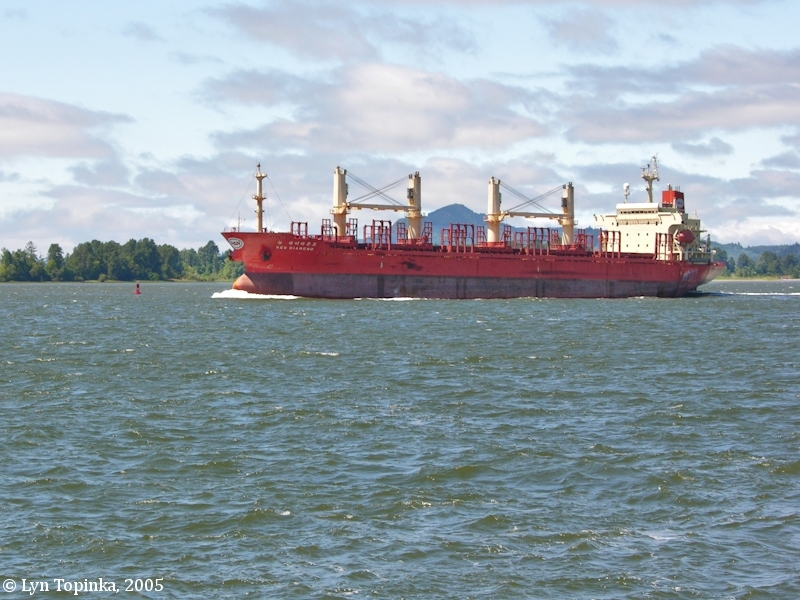 Click image to enlarge Closeup of Cargo Ship "New Diamond". 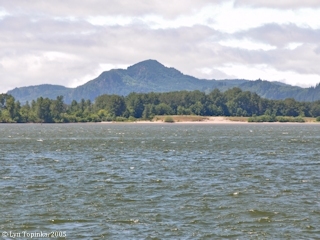 View from the Julia Butler Hansen Refuge, on Steamboat Slough Road, as seen from just upstream of Price Island. Image taken July 28, 2005.